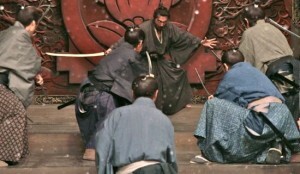 Swords are swinging in Hara-Kiri: Death of a Samurai. 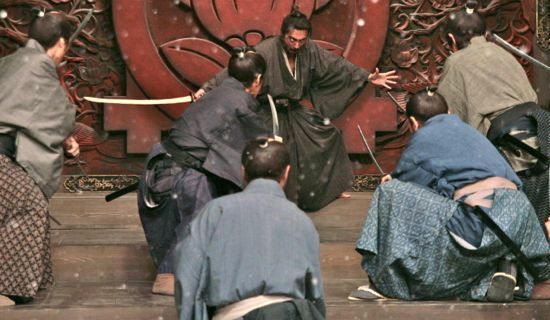 From prolific Japanese filmmaker Takashi Miike (he’s completed seven features in the last three years, including 2010’s 13 Assassins) comes the 2011 martial arts action-drama film Hara-Kiri: Death of a Samurai, a remake of Masaki Kobayashi’s 1962 classic samurai film, Harakiri. Miike’s movie arrives following its release on video-on-demand and digital platforms in July, 2012 and its subsequent limited rollout in 3D to U.S. theaters later that month. The unrated film was nominated for several awards, including the Palme d’Or at the 2011 Cannes Film Festival, Best Art Direction and Best Supporting Actress (Hikari Mitsushima) at the 2012 Japan Academy Awards and Best Composer (Ryuichi Sakamoto) and Best Supporting Actress at the Asian Film Awards. Bonus features include a featurette with Geoff Gilmore, Chief Creative Officer of Tribeca Film, who discusses the film.